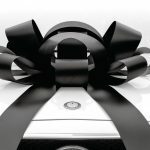 Present your vehicle in style with this classy Large Black Car Bow, easily attachable with magnetic base. The Giant Car Bow has a magnetic base. For colors other than black, please see the other products in our store. 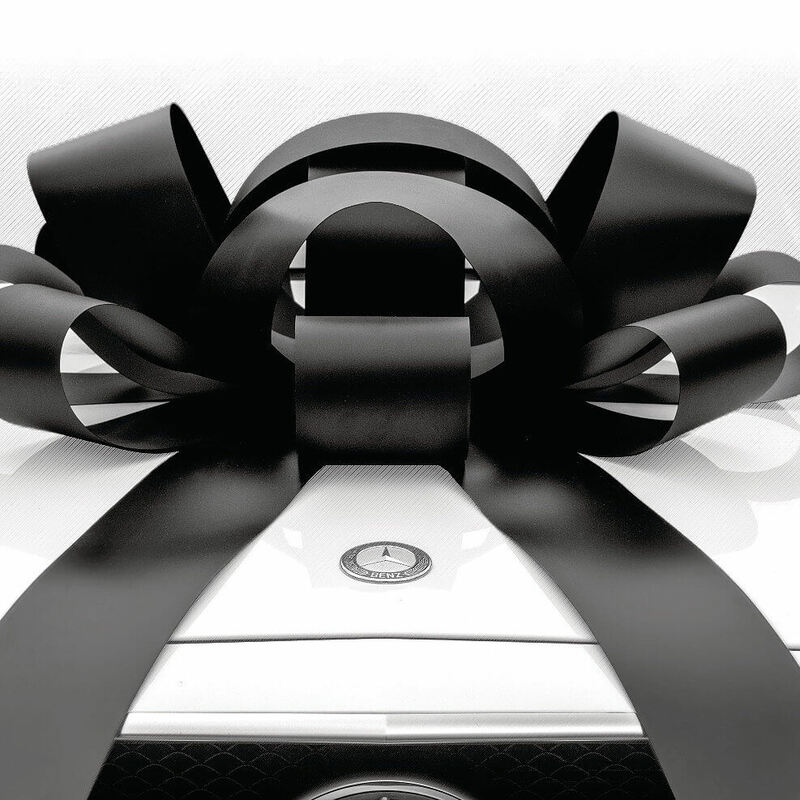 Whether you are giving away a car or another large item as a gift, or you own a car dealership and want to ensure your vehicles are all presented beautifully, the Large Black Car Bow will provide you with a stylish and classy presentation option. Made from weatherproof vinyl, the magnetic car bow can be used outside in all weather conditions, and the strong magnetic base attaches firmly to any metal surface without leaving any marks. So add this black bow to any vehicle and ensure it looks stunning. 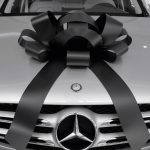 Vehicles always look better when they are presented using a bow like this large Black Car Bow. 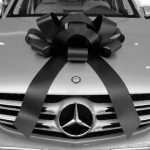 As well as the Large Black Car Bow, we have a huge range of other bows to choose from in a wide range of colors and styles. See our Red, Green, Blue, and White Car Bows, Graduation Car Bow, Happy Birthday Car Bow, Pull Bows, Color Combination Car Bows, and Car Bows with Suction Cups. Our fast delivery service means we will get your order to you anywhere in the USA in between 1 and 5 days following your purchase when you choose upgraded shipping at checkout.